International stevedores are expected to line up to win the rights to operate Port Botany’s third terminal. 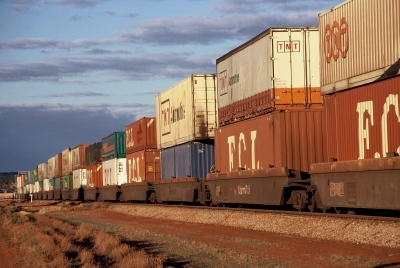 The NSW Government has called for expressions of interest for port operators to take charge of the third terminal, which will start handling shipments from 2012. As part of the Government’s $1 billion Port Botany exapnsion project, construction work on the third terminal will commence before the end of this year, with the successful bidder to be announced early next year. He said bids for the right to operate the terminal will entail a fixed and variable rental element as well as a level of investment and intended work volumes. Among the potential bidders are the Hong Kong-based Hutchinson Ports, the Singapore Port Authority, and Anglo Ports. Local contenders are also expected, including former CEO of Patrick Corp Chris Corrigan. While the expression of interest process is open to all stevedores, the key factors are likely to include maintaining a level of competitive tension with the existing operators. The two existing terminals at Port Botany are being operated by Asciano and the Dubai-based operator DP World. It is expected the chosen operator will inject around $350 million for new facilities, with initial expenditure on gantries of about $150 million.